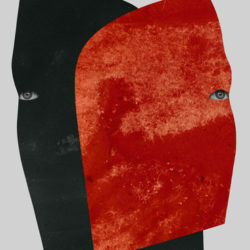 Ryan Lee West aka Rival Consoles presents his expressive new album Persona via Erased Tapes. Recorded at his studio in south-east London, Persona benefits from Ryan’s exploration of a dynamic production process that combines analogue-heavy synthesisers, acoustic and electric instruments with a shoegaze-level obsession with effect pedals. A greater depth of emotion and confidence can be heard across the album. From the deconstructed movements onUnfolding that starts the album with a snap of delayed snares, the apocalyptic drones of the title track and thundering drums in Phantom Grip to more restrained ambient feels of Dreamer’s Wake, Rest and Untravel. The latter transverses six beatless minutes of undulating melodies representing “a limbo space, a feeling of ennui, of not really ever being known to others and others not ever really being known to you”. Be Kind reveals a musical connection with fellow Erased Tapes artist Nils Frahm, with its minimal approach and improvisational nature. On the more complex sounding I Think So Ryan aims to replicate a colour collage with sound. Like a musical kaleidoscope, a flashing and convoluted mass. Written after he saw Slowdive perform live last year, Hidden builds from whispers to landscapes of controlled noise. Fragment closes the album as an innocent sounding ambient piece, almost nursery rhyme like, yielding time for reflection on how the persona has changed.